At Right Choice Chimney Service, we have been helping customers in the Bremerton Metro for more than 25 years. Our customer service is the most important aspect of our business and this has allowed us to continue to serve you for as long as we have. Our specialty is heating sources, and our mission is to provide you with the highest quality and most innovative services, upgrades and restorations in Seattle and the Northwest. Not sure exactly what you want or need? Whether it’s simply a dirty chimney, or understanding a fireplace design problem when the house was built, APOI is dedicated to giving their customers honest and knowledgeable answers to their toughest fireplace and chimney problems. Whether just needing a sweep or cleaning of pre-fabricated fireplace we take the business of safety very seriously and feel confident that all bases are covered to provide a world-class and safe experience. We genuinely look forward to providing you with the same exceptional care and outstanding results to protect and preserve your home, heating source and protecting your family as we have in the community thus earning a reputation as a caring, talented, and consistently successful specialty contractor in fireplace service, inspections, repairs and upgrades. A-1 Chimney Sweep has been serving the fine people of Thurston, Lewis and Grays Harbor for more than 35 years. This family owned and operated business is proud to be a member of the community and help protect their neighbors with chimney inspections and cleaning services. 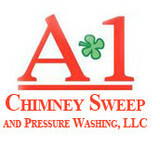 A-1 Chimney Sweep is licensed, bonded and insured. We have been serving the community in and around the surrounding areas for more than 35 years. We know a fire can be devastating and it's an unfortunate fact that many fires are caused by dirty chimneys and vents and by damage to the chimney structure itself. A-1 Chimney Sweeps team of professionals can inspect your chimney and make recommendations on repairs. If there is nothing wrong with your chimney, we can give it a thorough cleaning to get rid of any creosote build-up or other obstructions. 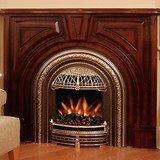 Extraordinary chimney and stove services Northwest Chimney Service Inc is a local, family owned and operated company that’s been in business since 1985. We believe in meeting all your requirements and we see to it that you’re satisfied with our work; that’s why a huge part of our business is through word-of-mouth. From sales and maintenance to installations and repairs, Northwest Chimney Service Inc is your one-stop shop for all your chimney service needs. Hassle-free chimney services You’ll get stress-free and convenient chimney services at affordable prices when you hire us. You’ll be delighted to know that we do all the work by ourselves; no sub-contractors are involved, from start to end. Benefit from our services Take advantage of the 10% military and senior discounts we offer on all our services. Not only that, we’re licensed, bonded, and insured. For your convenience, we accept credit cards and our services are affordable. Family owned and operated since 1985. We have been serving the chimney cleaning needs of Vashon Island for more than 3 decades. Let us show you the Smokey Top difference. Consultations are completed by appointment only. We provide top notch Roof and Gutter care. Specializing in all situations, dangerous or not. We are owner operated ensuring prompt response times and a job well done. Our superior methods not only prevent further damage to your roof, but also leave your home well manicured and ready for the heavy rains that are sure to come. Why do I need to hire a chimney cleaner in Shelton, WA? The Chimney Safety Institute of America actually certifies chimney sweeps, so you know if they are CSIA certified that they will do a good (and safe) job. It’s recommended that you get a full chimney inspection once a year at least, so don’t hesitate to call a chimney service in Shelton, WA at any point during the year if you suspect something is not quite right. Find Shelton chimney cleaners on Houzz. Narrow your search in the Professionals section of the website to local chimney cleaning services in Shelton, WA and read reviews and ratings to find one that fits your needs.